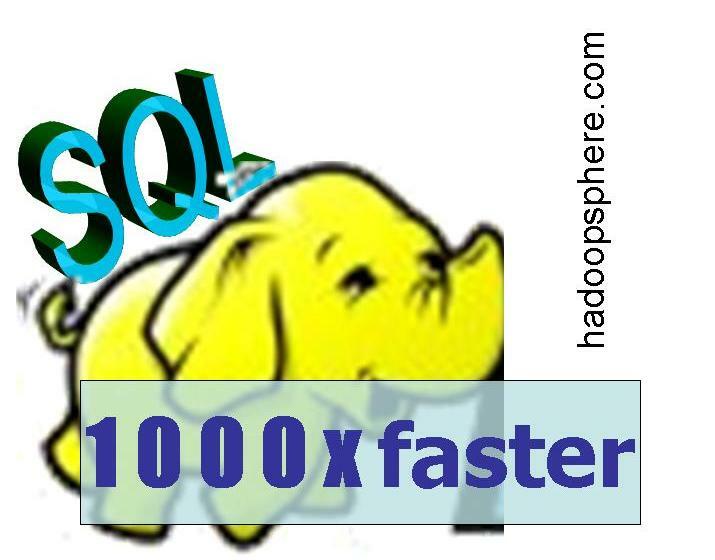 In a major announcement, hadoopsphere.com today announced the launch of YAS, a modern SQL engine which is 1000x faster than its closest competitor. A: You got it right. 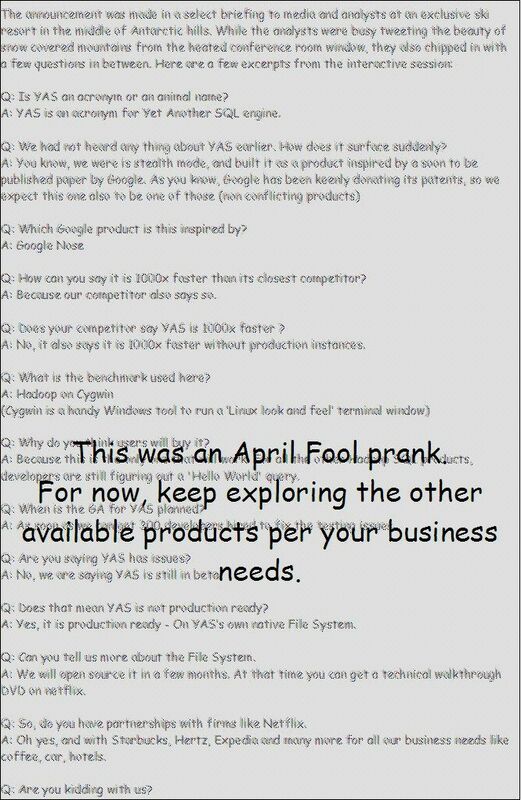 This is an April Fool day post. 8 April 2013: the contents of the post have been blurred to avoid confusion with real products.